The i886 technically uses a special version of Android, but it's so customized and stripped-down that you shouldn't think of this as an Android phone. Let's start with the fact that the i886 is not a touch phone. (For feature phone users, this won't be much of an issue.) But then consider that it has almost zero Google apps (not even GMail) and can't run any third-party Android apps. It can only run Java (J2ME) apps. So basically, it's not "an Android smartphone"; It's a feature phone that just happens to be powered by Android behind the scenes. 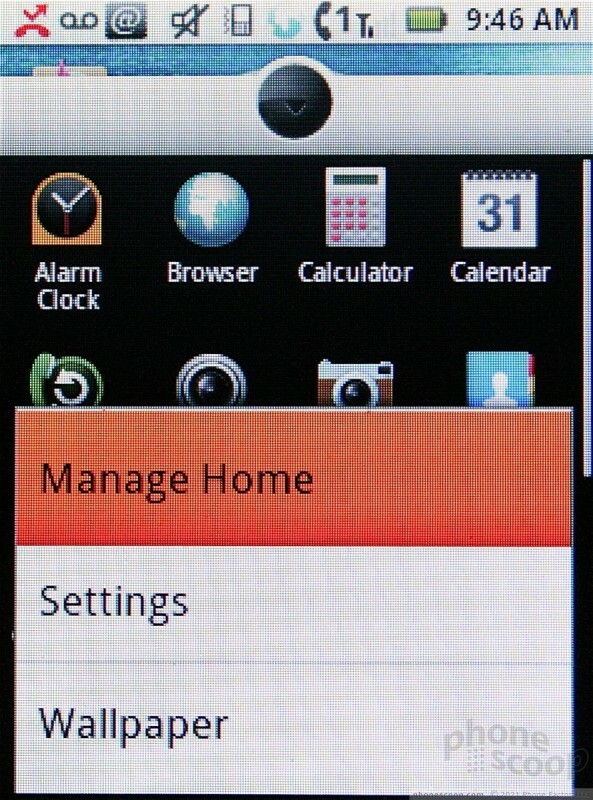 Well, not entirely behind the scenes, because if you've used Android, the interface on the i886 will look very familiar. 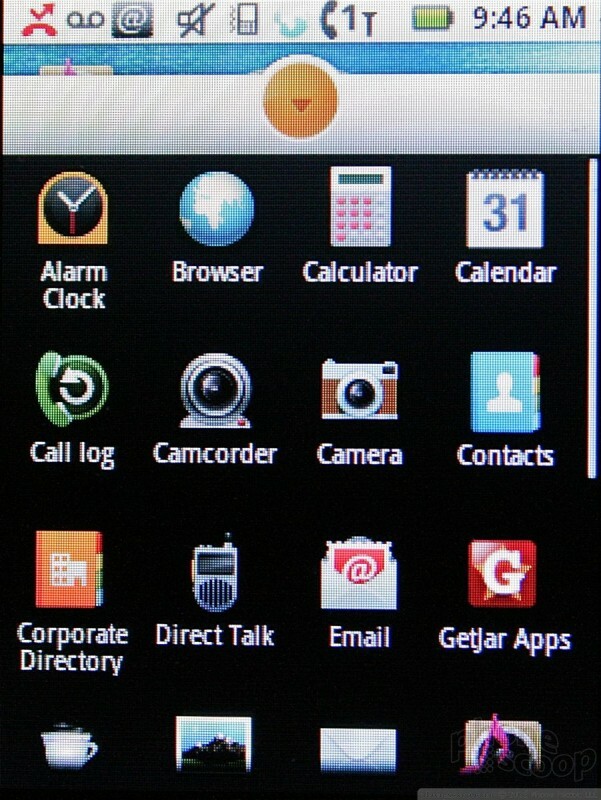 The i886 has three home screens. Just as with an Android phone, these three screens can be populated with apps, shortcuts, widgets, folders, and other content. Using the d-pad to navigate from screen-to-screen wasn't a big deal, but because it looked so much like Android - which I'm accustomed to - I often found my thumb reaching up to press an icon to launch an app rather than using the d-pad. 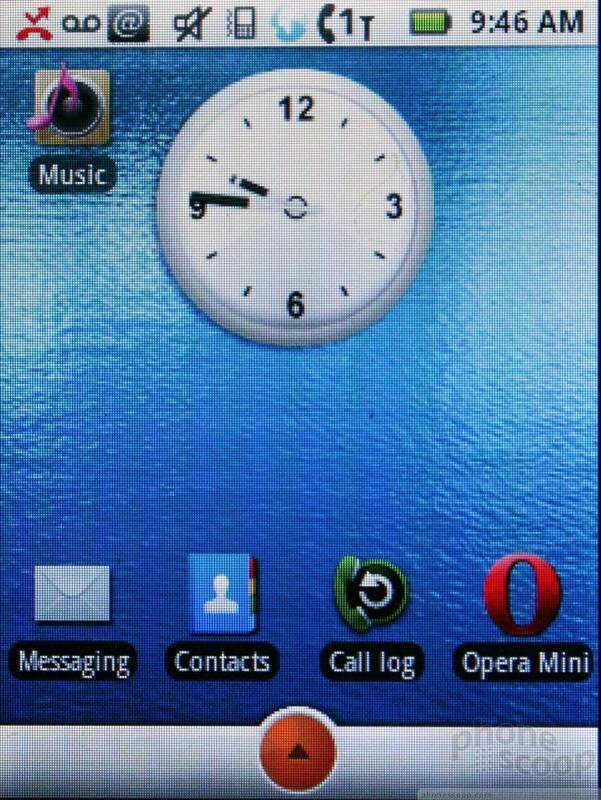 The main menu (and even the icons) appear exactly as they would on an Android handset. 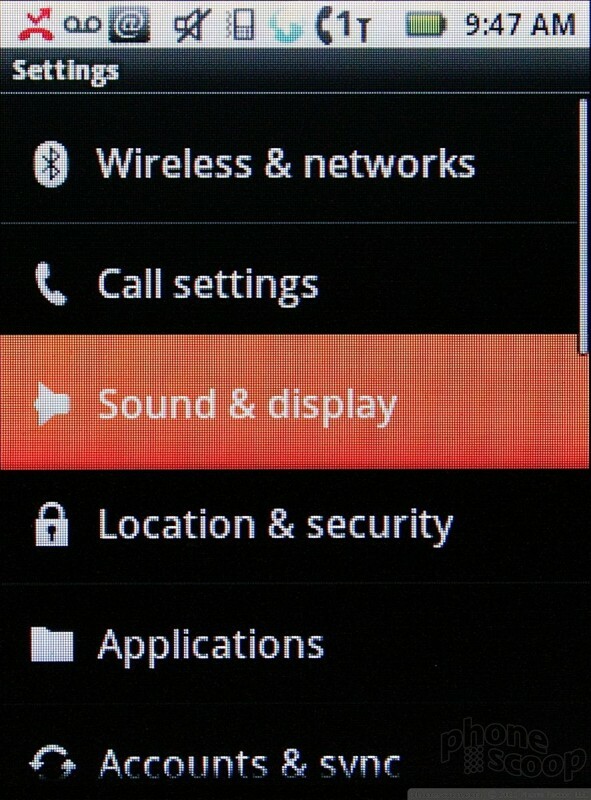 The settings menu also looks and works identically to what's available on Android handsets. The one area where it differs a bit is how the notification shade and secondary menu actions work. The notifications are accessed via a dedicated "alert" key that is next to the d-pad. Pressing it pulls down the notification shade, allowing you to check for missed calls and other alerts. The one sticky point with it is that it doesn't allow you to clear all the alerts. In fact, there's no way to clear the alerts at all. For what boils down to a non-touch version of Android, I found the i886's menus to be easy to navigate and use. It feels like a much more capable operating system than what might otherwise be used on a feature phone. It is also a bit on the slow side. The OS will pause a bit before reacting to button presses. This gets old quickly, and led to a lot of cursing on my part.